Why Do We Crave Dessert? According to Psychology Today, 97 percent of us get cravings. So it made us wonder: why? Apparently, it’s a gift that us humans have developed over time (thanks evolution). According to some research, there are a variety of different reasons we may be craving sweets after a meal, including habit or association (ie that piece of chocolate makes you feel good and satisfied), and it boosts your mood (like it or not, sugar boosts serotonin, which makes you feel better). Life is short. Eat dessert. 2. 1/2 cup of stewed peaches with cranberries (ripe peaches create their own juices and the cranberries plump juicy-n-sweet – add a little lemon juice or zest if you like. Note: best to add a little water to the pan with the fruit). 3. Slightly defrost 1/2 cup of frozen mixed berries and serve as a frozen treat. OK, those are great, but what if I still REALLY NEED CHOCOLATE? For those days when fruit just won’t cut it (been there! ), I recommend making your own ‘healthied-up’ treats at home. You’ll save tons of fat and calories (and even burn off some while baking!). My absolute favorite dessert diva is blogger “Chocolate Covered Katie.” With recipes (many are vegan, vegetarian and actually contain good-for-you-ingredients) for desserts like her incredible cookie dough dip, brownie batter sundaes and one-minute chocolate cake, there is no reason to feel guilty about indulging! 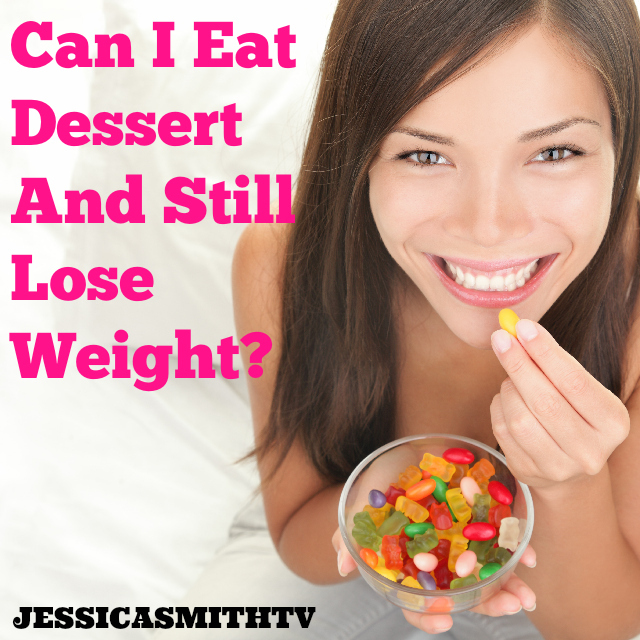 There’s no need to deprive yourself, or feel like you are “cheating” or doing something bad by eating dessert! Your best plan of action is to plan ahead. Have healthy options on hand, or bake your treats ahead of time. If you do bake, it can be helpful to do it in advance, then wrap up single portions and freeze the rest. (Just remember, even if they are lighter versions of the good stuff, eating two or three servings worth can still undermine your hard work at the gym). Hope that helps! Bon Appetit! I love Chocolate Covered Katie too. Great post!